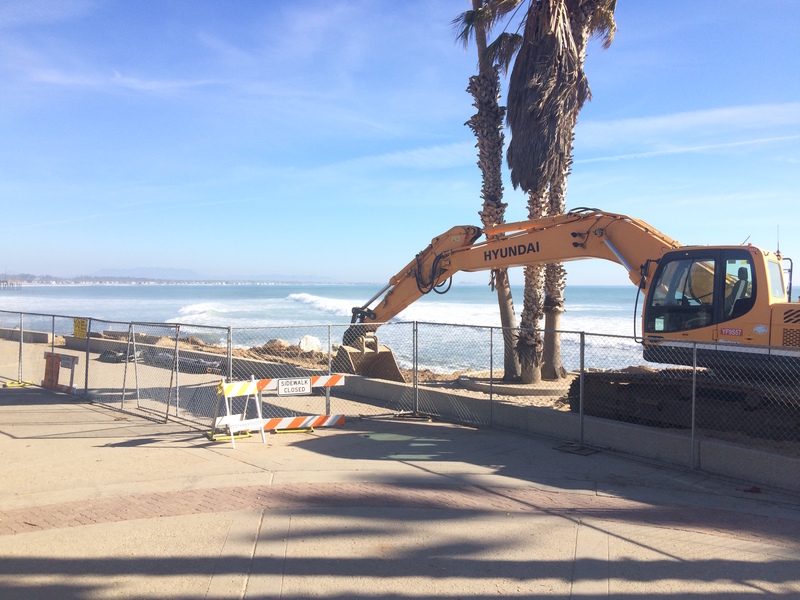 Heavy equipment at Surfer’s Point! 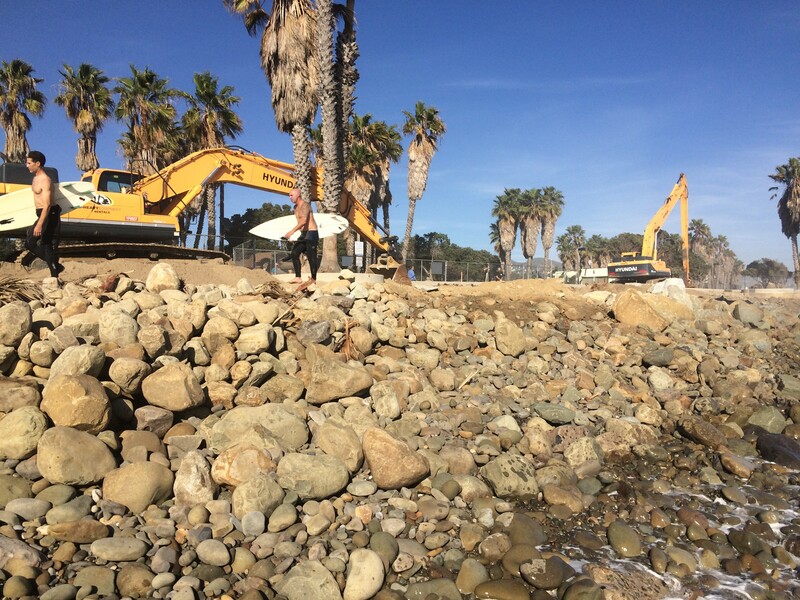 Back in December after the palm tree and concrete planter fell over, the City of Ventura got approval from the CA Coastal Commission for an emergency permit to build a rock revetment in an effort to protect the Promenade. 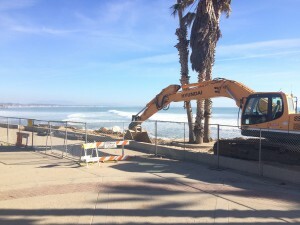 Surfrider and others have been talking with the City of Ventura staff to encourage the least obtrusive option. Rather than the 2-3 ton rocks that were originally planned, smaller rocks are being placed that are expected to be covered with cobble. While this is not the best case scenario, it is not the worst. Next winter the City plans on a more permanent solution while we will be advocating for phase 2 of the dune restoration project that has been successful further up the point. 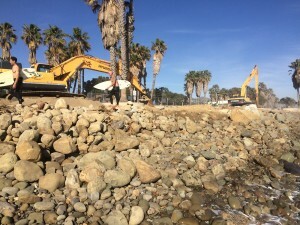 Stay tuned for more info and check out www.venturariver.org for a great overview of the issue. Join us for a discussion on Surfer’s Point at our March 1st general chapter meeting. The meeting will be held at the Patagonia retail store in Ventura from 6:30-8:00pm.